Dunne Lake *Not available for 2019 | Northern Wilderness Outfitters Ltd. This lake is located about 160 miles north of our airbase and we have the only cabin on it. This comfortable log cabin is built on a beautiful pine tree point on the largest island in Dunne Lake. The cabin can accommodate parties of 6 fishermen. 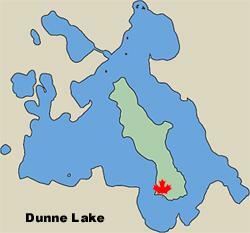 Dunne Lake is about 3-4 miles long and a couple of miles wide and will give you all the walleye and northern fishing action you can handle. We have also cut a portage trail across an old logging trail that gives you access into Blackbird Lake. If you can't catch a fish on every other cast in this lake; pull out your line and see if you have a hook on it! 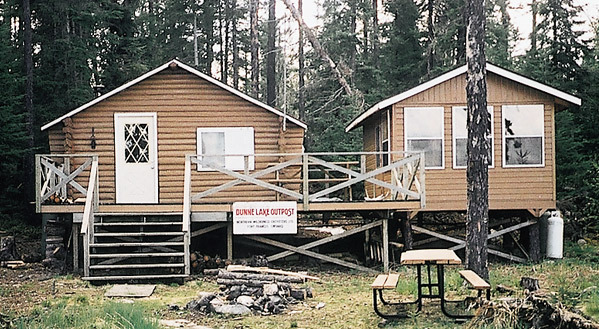 For the fisherman who likes to explore and work a little bit to cross a portage, Dunne Lake will give you a wilderness adventure that will be remembered for a long time.